Solar energy systems providing power to off-site locations are exempt from local property taxes, according to a ruling from the Appellate Tax Board. solar energy developers, who may now have another financial incentive to develop solar energy projects, which have become increasingly common in rural and suburban communities. Forrestall owns a five-acre parcel in Westborough containing a 240 kW solar photovoltaic system. Through a “net metering” agreement with National Grid, Forrestall’s solar energy system provides power to the electric grid. In return, 11 other properties in Westborough (all owned or controlled by Forrestall’s owner) receive a rolling credit on their electric bills, in essence “using” all of the electricity produced by the off-site solar energy system. solar or wind powered system or device which is being utilized as a primary or auxiliary power system for the purpose of heating or otherwise supplying the energy needs of property taxable under this chapter; provided, however, that the exemption under this clause shall be allowed only for a period of twenty years from the date of the installation of such system or device. (Emphasis added). The Clause 45 exemption went on the books in 1975, when most solar energy systems consisted of off-grid rooftop panels producing supplementary electricity for on-site use. Clause 45 applies to solar and wind energy systems. Relying on guidance from the Department of Revenue, the Westborough Board of Assessors denied Forrestall’s application, finding that the Clause 45 exemption applies only if the solar equipment provides power on-site, or to adjacent property, and is not connected to the grid. 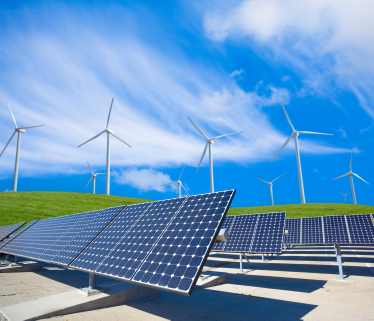 an income tax credit for renewable energy sources, including solar power, “when installed in connection with a dwelling” (M.G.L. c. 62, sec. 6(d)). “If the Legislature intended to limit the property tax exemption of Clause , it is clear that it knew how to do so,” the ATB held. The ATB acknowledged, but failed to address, the question of whether a solar energy system may receive the Clause 45 exemption if it provides power to taxable property under separate ownership. Absent an appeal or an amendment to Clause 45, the Forrestall decision will require municipalities and solar developers to reexamine the economics of solar energy projects. This entry was posted in Municipal, Uncategorized, Westborough and tagged Property Taxes, Renewable Energy, Solar Energy. Bookmark the permalink.